The city of Seattle abounds with many tourist attractions and unique experiences for both locals and travelers. Even with a rainy weather, Seattle still boasts of wonderful sightseeing spots and thrilling adventures! Your Seattle experience will not be complete without visiting this site! Yes, it can be touristy and a little bit crowded especially during the weekends but it’s definitely worth the hassle. The Seattle Center, where the Space Needle is located, sits at the exact site where the World’s Fair was held in 1962. The 605-feet tall landmark brings about a million tourists every year. It takes around 43 seconds to reach the observation deck via an elevator. Upon getting there, you will get a 360-view of just how beautiful the city of Seattle is. Ferry boats, ferry boats, ferry boats! If you are a fan of the popular TV series Grey’s Anatomy, you would know that Seattle is definitely a place to enjoy a classic ferry ride. There are probably a hundred and more ways to bask in the beauty of Seattle’s water, but the Brainbridge Island will give you of a feel of just how laid-back this city is. This island also offers historical sites including the Brainbridge Historical Museum and the Bloedel Reserve. 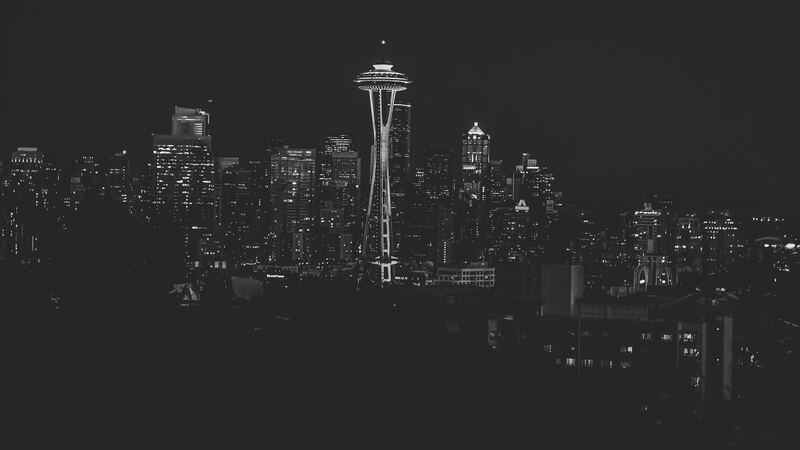 Seattle is home to a lot of iconic musical artists across different genres and generations as well as to many Hollywood actors and other many renowned artists. The MoPOP celebrates the pop culture including music, movies and innovations. In the building, you will find unique memorabilia such as guitars smashed by Jimi Hendrix and clothes worn by the famous The Pretenders’ Chrissie Hynde. Other interesting items are a bunch of historic posters and album covers that commemorates the greatness of rock and roll. On the other side of the building features the exhibit for films, literature and video games. Here you will find paraphernalia and costumes from classic and iconic movies. This trip is definitely enjoyable for kids and adults alike. If you want a unique adventure that involves a lot of history, in a slightly odd but nevertheless fun and thrilling setting – then the Seattle Underground Tour should definitely be on your bucketlist! The tour lets you travel on a series of interconnected basements where there are also underground bars and cafes. The history of the place dates back to 1907 – a time when a fire had destroyed most of Pioneer Square. The frequent rains made the ground muddy and swampy which caused it to swallow most of the place. The residents had to come up with clever, and some ridiculous, engineering solutions to save their properties and themselves! Seattle is home to the famous Starbucks Coffee and a bunch of other coffee chains that features premium-grade coffee sourced from the rest of the Washington State. The city abounds with local cafes and it’s hard to find a single street where you can’t find some high-quality coffee brewing somewhere. Cafe hopping is definitely a thing in Seattle! There are of course hundreds if not thousands of beautiful spots in this gorgeous city! Raining or not, you should not miss these 5 spots and experiences above as these will give you the most authentic and unforgettable Seattle experience!